therapeutic perspectives, which took place in Rome on November 10 and 11th, 2017. Here you can watch the videos of the speeches. 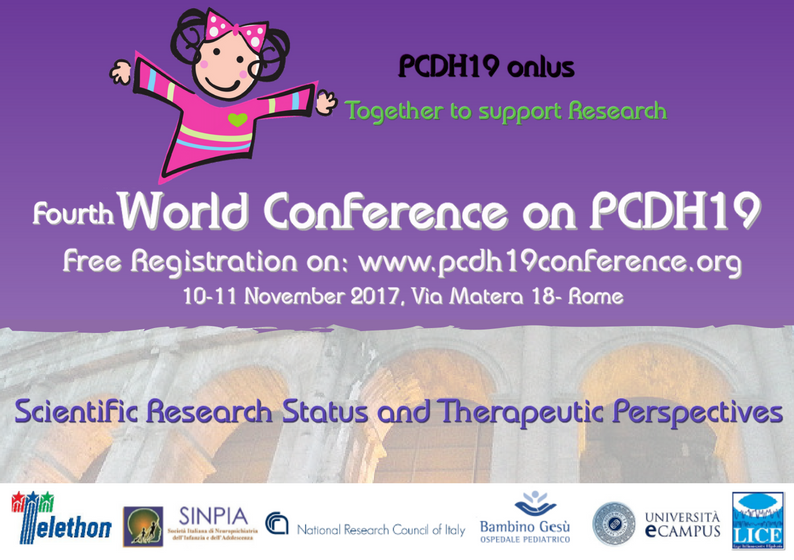 This Conference has been organised by the nonprofit association "Together for the research on PCDH19" (www.pcdh19research.org).